Alas, I have finally written the last part of this four part mini-series on awesome technology tools that you can use in the classroom or create instructional materials for use with your students. 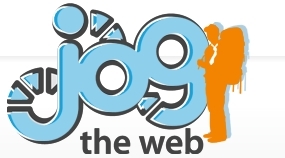 This blog post features the recently discovered website, http://www.jogtheweb.com. A few weeks ago as I was reading the plurks of my professional learning network at plurk.com, someone plurked about a track created at jogtheweb.com so I decided to venture to the site and see what jogtheweb was all about. The image to the right shows a basic track. 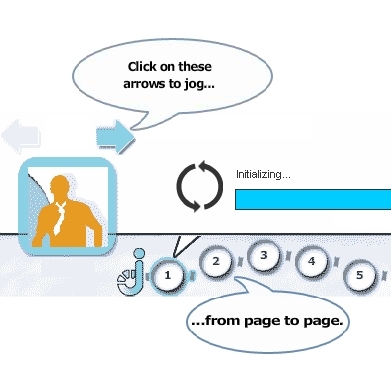 Viewers ‘jog’ along the track from website to website with a description of each part of the track displayed. At jogtheweb.com a variety of tracks have been created. Many have been created for educational purposes so you may want to look the tracks in case one has already been created on your topic. One user in my PLN created one about the features of her district intranet and where to find district resources. I created one on technology tools that can be used in the classroom and once finished I will send the link out via Twitter and Plurk. Next time you are searching for a creative way to display content or technical information, consider creating a track at Jogtheweb.com. I think you will find this a great resource to add to your technology toolbox.